DETROIT — Production of America’s best-selling vehicle, the Ford F-150 pickup, will resume today. Truck production, shut down since May 9, will resume at the Dearborn, Mich., Truck Plant on Friday, while production of the Super Duty at the Kentucky Truck Plant and F-150 at the Kansas City Assembly Plant are targeted to restart on Monday, Ford executives announced Wednesday afternoon. “Ford marshaled a global team of experts, that included partners and suppliers, following a May 2 fire at Meridian Magnesium Products in Eaton Rapids, Mich., to quickly refurbish and relocate tooling needed to produce parts for the Ford F-150, Super Duty and five other vehicles _ Ford Expedition, Explorer, Flex and Lincoln Navigator and MKT,” the company said in a statement. Meridian is producing truck parts again at its Eaton Rapids facility, Ford said. The disruption affected the jobs of 7,600 Ford workers in Dearborn and Missouri. A massive fire May 2 at Meridian Magnesium Products of America in Eaton Rapids dramatically disrupted the North American auto industry by creating a parts shortage for Ford, General Motors, Fiat Chrysler and Mercedes. It triggered unplanned layoffs throughout the United States. Ford was most affected. Production of its F-150, America’s top-selling vehicle and a huge moneymaker, was shut down on May 9 at the Dearborn Truck Plant, the Kansas City Assembly Plant and the Kentucky Truck Plant in Louisville, which continued building the Ford Expedition and Navigator. UAW members in Michigan and Missouri received letters last week saying a two-week shutdown may end May 18. A UAW worker at Ford’s Livonia Transmission Plant said Wednesday that employees, whose shifts were reduced as part of the collateral damage to the parts supply chain, have been told that all shifts will return to work starting Monday. Meanwhile, Meridian officials say they’re working as quickly as possible to find a way to build the specialized parts whose production was disrupted by the fire. “We’re firing up our die cast machines. We’re trying to meet Ford’s timelines,” said Benjamin Wu, chief legal officer and public affairs director for Meridian Magnesium Products of America. 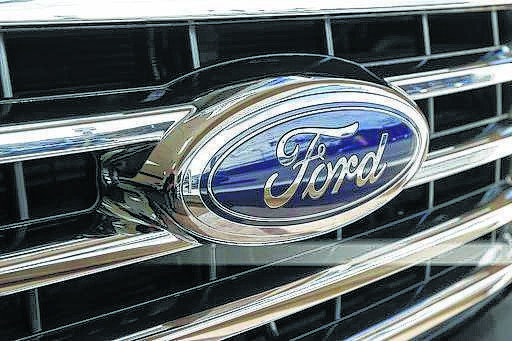 About one-third of the parts built by Meridian are sold to Ford, company officials confirmed. Up to 250 people in the small town were out of work because of the fire. In the short term, the high-pressure die casting company, which makes parts out of molten magnesium, had coordinated tool and die efforts with its affiliate companies, including Meridian Lightweight Technologies plant in Strathroy, Ontario. The plant fire also affected production at the Fiat Chrysler plant in Windsor, Ontario, which produces the Chrysler Pacifica minivan and the Dodge Grand Caravan. FCA spokeswoman Jodi Tinson said the company “continues to balance production” at the Windsor Assembly Plant and has had no production disruptions at any of its other facilities to date. GM has not restarted production of its full-size vans in Wentzville, Mo., since production was halted a week ago, said GM spokeswoman Kim Carpenter. The Wentzville plant is the only facility that builds the GMC Savana and the Chevrolet Express. Workers have not seen layoffs because they’re producing mid-size trucks. Mercedes announced Friday the shutdown of its SUV production for an indefinite period of time. No new information was available Wednesday. The German automaker reduced worker shifts because the factory in Vance, Ala., ran out of cockpit crossmembers that hold the dashboard, air-conditioning unit and navigation systems in the GLE, GLE Coupe and GLS.